Drivers have their own styles for driving. While some may not tell you up straight, it would be wise to avoid being a clutch driver, assuming you are using a stick-shift vehicle. Manual transmission driving is the best way to be able to drive the right way since it trains you to take hold of a car and really know when to shift gears when the need arises. 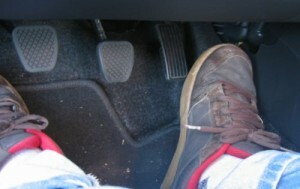 One thing you will note is that some drivers keep their foot on the clutch even if they are not moving. Do remember that when you do this, pressure is being placed on your clutch and if you do this frequently, you may find yourself burning the clutch lining and may eventually need to replace it. For the record, replacing your clutch is not cheap. Normally, it takes some years before the clutch parts of your vehicle are replaced. When you are driving take it easy. Do not be in a hurry to gear up. This is one thing that aspiring drivers presume wrong. When you are immobile or are perhaps waiting for the front car to move, rest your foot on the car flooring. Haste makes waste. If you hear someone honking at your back, let them. Just follow the proper rules that allow you to move forward. If there is a car in front of you or you are waiting for a red light to go green, you don’t have anywhere else to go. Relax and drive normally. Avoid the tense moments that may lead you to wreck your car.